In the beginning YHWH created the Heavens and the Earth. Though some might doubt that this is true, it is hard to imagine how doubt could exist when it is possible to know that even the tiniest of molecular structures are held in such delicate and perfect construction, that if any number of small differences occurred in the strength or weakness of the bonds which holds them together, the universe as it is known would be undone. As it is said “a fool says in his heart ‘there is no Elohim'”. It is reserved for foolishness that not only would some deny Him, but at the same time attempt to be Him. They are considered great minds of science, and yet they are only fools who do not stop at interfering with the genetic material of living things, creating creatures whose existence in the world have consequences still unknown to them; they will continue to the very foundations of matter itself also to alter them. So the science of nanotechnology has been achieved, a corruption of the foundation of all creation and a little-understood science to the public who is scarcely made aware of it. Nanotechnology is a science of manipulating matter, at an atomic and molecular level, structures which do not exceed 100 nanometers in size, a nanometer being one billionth of a meter. This study is founded on an idea that it is possible to construct a small mechanism which in turn constructs a smaller one, and so forth down to minute structures of nano size which are able to perform like machines. Molecules can be redesigned to have an affinity for a certain configuration based on their intermolecular forces, which then lead to self assembly of a desired nanostructure. Redefining forces which naturally bind molecules in certain formations makes it possible then to build entirely new materials which have never before existed. DNA is a structure of particular interest to nanotechnology, using it as ideal material for building nanostructures. This use and manipulation of DNA is especially disturbing. Though it is not discussed as a goal of nanoscience, the ability to rewrite DNA in any way a scientist might choose, is a possibility which exists. We can then imagine a time when DNA is rewritten to someone’s precise desire and in this synthesized form, used to grow living organisms whose genetic material has been entirely chosen by the will of some man. A branch of nanoscience, called nanorobotics focuses on machines which are tiny, self sufficient robots. It is alarming that the hope for use of these devices is in the medical field. Injecting nanomachines into a human being supposedly to target cancer cells or identify diseases or otherwise treat them is the supposed goal. It is hard to imagine any person feeling safe undergoing such a procedure, yet there is enough evidence that people are willing to trust in anything a scientist is willing to tell them is safe. 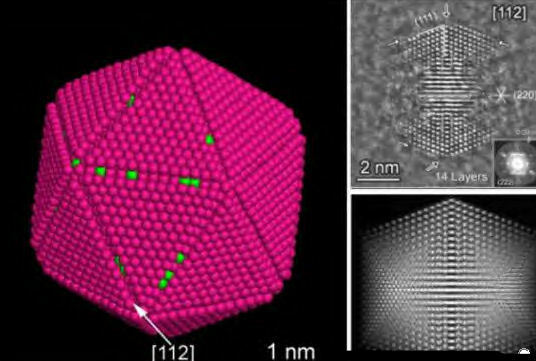 A serious problem with all nanoparticle structures is the unpredictable difference in how a nanostructure behaves as opposed to its larger source matter. A certain substance which might normally be water soluble, becomes non water soluble as a nanoparticle, something which was once stable becomes unstable. The consequences of working with and integrating nanoparticles into living things, food supplies, cosmetics, packaging and polymers are at best unknown and at worst, known to be harmful – and are used anyway. Many of these uses are already being practiced with no prior warning to the public about with what it is they are coming into contact. Nanoparticles are able to bypass cell membranes and enter directly into the cells of living things, causing biochemical damage and ultimately cancer. Carbon nanotubes, which can occur naturally in volcanic eruptions, have a sharp, needle-like structure, which like some forms of asbestos, can cause tearing in lung cells when inhaled, resulting in mesothelioma. Pharmaceutical makers are interested in adding data storing nanochips to their medications. The data stores when and where the pills were made, where it has been since it was made, manufacturer information, expiration date, batch number and whatever else they might wish to add. The nanostructures are ingested with the medication and travel through the body, lodging themselves in tissue. It is possible to then read this information remotely. Those that are for such things argue that not only can it protect pharmaceutical patents but it can give medication information about an unconscious patient in an emergency. What it is also capable of doing is being a very useful tool in forcing people to be medicated who do not wish to be. It can affect insurance policies, employment opportunities, and set up a possibility for a society in which mandatory vaccination can be easily achieved with this method of knowing who has received a medication and who has not. Beware of what is called “nutraceuticals” in vitamins if you hope to avoid ingesting nanotechnology. These are nanoparticles that are claimed to be safe additives to improve delivery of the vitamin. Perhaps the most disturbing of all discoveries in the science of nanotechnology is the potential use for controlling the thoughts and actions of others. It has been found that heating clusters of magnetic nanoparticles in targeted cells can allow the remote control of ion channels and neurons. By this means they have been able to literally dictate the movements of a controlled animal test subject. You can see in the video that the worms are crawling around; once we turn on the magnetic field, which heats up the nanoparticles to 34 degrees Celsius, most of the worms reverse course. We could use this method to make them go back and forth. Many Christians are watching these days for signs of the tyrannical antichrist system, and the mark which will come with it, and many have guessed that it is likely that some sort of RFID device will be used to implant under the skin of the right hand or forehead. It would seem, though that science is perhaps beyond this, and that if this mark might be implemented in the coming few years, nanotechnology might be the most obvious of likely choices. MIT, in fact, has already created a carbon nanotube tattoo that is for the purpose of monitoring blood glucose levels. The word which describes the mark in Revelation – charagma literally means a scratch, an etching or a stamp.